As I begin month four on adding three days of training sessions, I have hit an odd plateau...not that it wasn't challenging before, but now the weights are getting heavier and I am losing any kind of kinship with these machines. It is quickly becoming a love/hate relationship. The results will certain be worth it, but I am having a hard time staying motivated and energized, because its getting almost too hard. I am also starting to have a little self doubt when I can't do as good as I want to because I am getting tired in the middle of my workout. I was happy to have the opportunity to review the Vega Sport line of products, there is a lot of different options and formulations to get started with, based on your need. 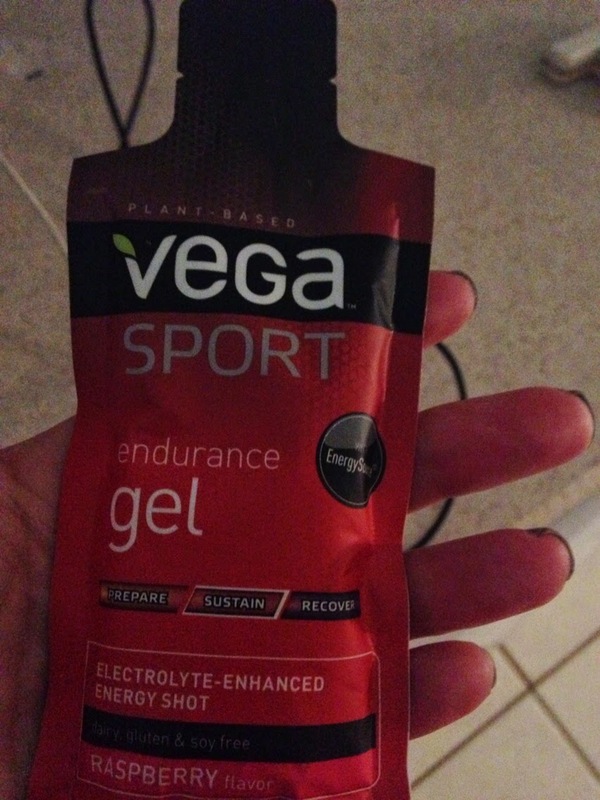 As I looked through the products, I thought the Vega Sport Endurance gel was sure to be by best bet. Gels are easily digestible and anything that has the words electrolyte-enhanced energy shot is singing my name. Another cool thing about this product is that it is dairy and gluten as well as soy free. The Endurance gel provided energy, was an excellent source of vitamin C and gave me back my electrolytes that was making me lose my steam at the gym. Plus, Vega Sport Endurance Gel is the only gel on the market to feature coconut oil, a medium-chain triglyceride metabolized in the liver to provide instant, non-carbohydrate energy. Fancy words that explains so much! Vega Sport asks How do you #FuelYourBetter? We are all at different levels of our workout program, how do you deal?? Take a look at their website and see what resonates with you and give their products a whirl to find out what is holding you back from your better?! I received this product to review but opinions are my own.